The prospect of paying off a mortgage in full can be tempting. Although there are benefits — such as having a larger pool of monthly income, or the contentment of no longer having excessive debt — there are some potential pitfalls you should think about. Click through to start learning how to pay off your mortgage early. Completing a mortgage payment is worthy of celebration. However, paying off a mortgage early is an even greater achievement. Here are seven things you need to think about if you’re going to take on the challenge. 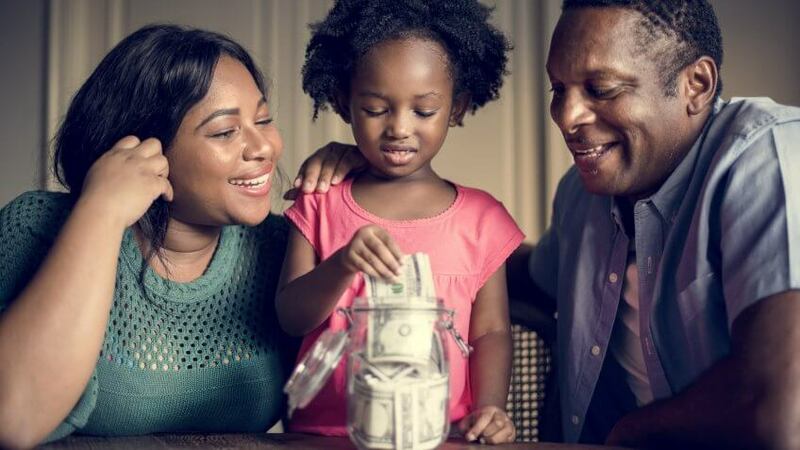 When you buy a home, it becomes one of your greatest assets, but it’s not the easiest monetary source to tap into when you need funds immediately. Using up savings to pay off your mortgage can leave you without a security blanket if and when you need money fast. Instead, it’s less painful to tap into liquid resources or assets that can be converted into cash quickly. Assets with more immediate liquidity include investments and savings accounts. Related: What Are Liquid Assets? By paying extra money on a mortgage, you’re missing out on an opportunity to allocate resources elsewhere — this is your opportunity cost. Directing that money into investments instead, for example, can produce greater returns over time. You don’t need to be an extreme risk-taker to make profitable investments. Creating a diverse portfolio can optimize retirement savings. You can automate the process using passive investment and paying monthly for them. In other words, you can set it and forget it. Also, if it’s within your means, contemplate capitalizing on your 401K contribution. As of 2018, the maximum contribution allowed is $18,500 a year if you’re under age 50, and $24,500 if you’re 50 or older. Take advantage of the free money offer if your employer matches contributions. Another smart way to distribute surplus cash is to save money. If you’re paying off your mortgage by dipping into savings, you can potentially put yourself at great risk if you experience a negative major life event requiring emergency cash, like losing your job. ranging from student loans to credit card debt — all with varying interest rates. A variety of factors, including your debt-to-income ratio, your credit score and the economy all affect interest rates. Recently, interest rates rose due to the growing strength of the economy; in December 2017, bank rates rose 1.25 to 1.5 percent. If your mortgage interest rate is lower compared with interest rates from other debt, it is likely because there is less risk associated with that loan. Working on your higher-interest loan payments first will enable you to pay less in the long term. If you’re young, you might choose to invest your money rather than put it toward paying off your mortgage faster. Investing will deliver a greater return later in life rather than paying off your mortgage because your investments will have more time to grow. If you’re closer to retirement, you might want to consider paying off your mortgage faster. You should try to pay off all debts before you retire when you’ll more likely be living without an active income. It’s possible that your mortgage can be your greatest tax deduction. In most cases, homeowners can deduct all of their home mortgage interest. The amount you can deduct is dependent on the mortgage date, mortgage amount, and how you use the mortgage proceeds, according to the IRS. Keep in mind this deduction disproportionately benefits individuals with a higher income or home value, or households earning $200,000 and over. Also, due to the cap on President Trump’s new tax plan, you can only deduct the interest on the first $500,000 of a mortgage. It sounds counterintuitive to think of any debt as beneficial, but your mortgage, potentially, can be a good thing. There is a key difference between positive and negative types of debt: Any debt that bolsters your net worth is good debt. When the debt diminishes your worth or depreciates in value, consider it bad. Mortgages can still be a source of significant concern if you have a high-interest loan. If that’s the case, you might want to refinance your mortgage, sooner rather than later. If you qualify for a refinance, this move can lower your interest rate and your overall debt — as well as the amount of stress in your life. Prequalify before you apply to streamline mortgage approval.